At #StretchtherapySA we have a special interest and expertise in working with runners and has become the referral centre in the Pretoria area for tight runners with chronic pain and injuries as well as athlete’s that are looking for performance enhancement and injury prevention. We treat marathoners every week of the year, but see a significant increase in the number of marathoners we treat in the months running up to the more popular events in South Africa, like the two oceans and comrades marathon. Both trail runners and road runners place tremendous force on their feet. Most of the foot, ankle and leg problems we see are due to increased force from repetitive running. In some people this is due to abnormal biomechanics of their feet and in others it is because they simply weigh too much. 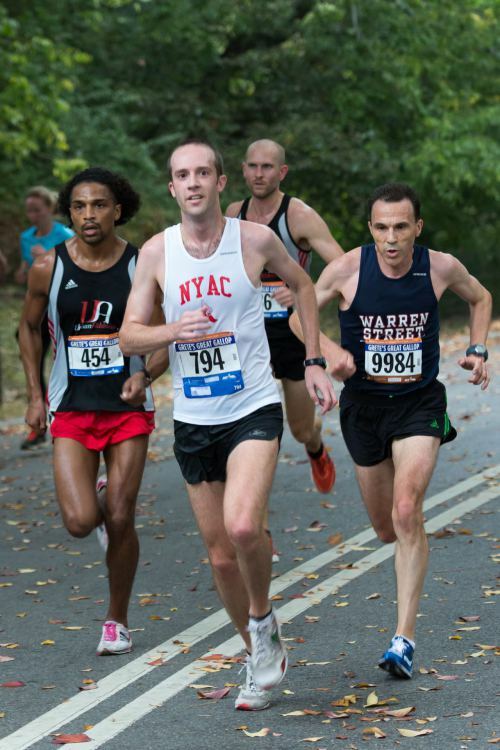 In marathoners, problems occur due to the repetitive pounding over the months of training. In fact, during a 10-mile run, the feet make 15,000 strikes, at a force of three to four times the body’s weight. Even if you have perfect foot mechanics, injuries are common with this much stress being exerted on the relatively soft and tender tissues of your lower limbs. Whether you are training for your first marathon or your fortieth, make an appointment to see us for a complete pre-marathon lower extremity evaluation prior to starting your training. This is to make absolutely sure all the muscles are in a fine balance with each other, and to drastically reduce your changes of injury. Be sure to bring your running shoes and any orthotics or arch supports you wear to this appointment. Also, bring some running shorts. We will evaluate your biomechanics, muscular balance, flexibility, injury history, foot structure and shoes. Be prepared, we’ll be stretching your muscles in all sorts of isolated positions and you will be amazed to see how many of these structures are not functioning optimally. On your own you can only stretch the bigger muscle groups, this will help you too endure an Active isolated stretching session on all the smaller muscle groups as well. After the first session we will provide you with the information and treatment you need to allow injury free training and racing. If you are already training and are having foot, ankle, knee or leg pain, make an appointment to see us right away. Tell our receptionist that you are training for a marathon and we will try to get you in right away so we can help you avoid interrupting your training schedule. Custom orthotics can help prevent injuries by decreasing the extreme forces placed on the feet in people training for marathons. In most cases, orthotics for runners should conform almost perfectly to the arch of the foot. These are called total contact orthotics and act to spread force over the entire bottom surface of the foot in order to prevent excessive pressure on any one part of the foot. Orhotics are definetely not the answer for everybody, and only in certain foot structure problems can it be recommended. It is worth mentioning that recent studies show that moving muscles into the end range of movement leaves to a neurological response causing the muscles too be stronger afterwards as well. (Immediate effect of Grade IV Hip Joint Mobilisation on Hip Abductor Torque Makofsky et al; 2007, The Journal of Manual and Manipulative Therapy) so no need to think that if I stretch I will become weaker. Bad running posture and technique lead to injury, mostly this is due to muscles groups being overactive in compensatory functions. During a Stretch therapy session these compensations will come to light very quickly, and we will provide you with the necessary solutions for it. Visit us and get a complete new insight on stretch therapy.